Fundbox is an online lender that offers invoice financing and lines of credit based on a business’ receivables. It allows qualified businesses to borrow up to $100,000. In this article, we cover Fundbox reviews and fees. Ready to get started? Visit its website. Users who gave Fundbox a positive review said that is is easy to sign up, and that it provides customers a good tool to manage their cash flow. They added that the approval for loans is quick, and the release of funds is very fast. One user who gave Fundbox a positive review on TrustPilot commented that it gave him the capital he needed when he was expanding his business. He added that most other lenders would not have granted loans to someone who was making less than $100,000 a year, but Fundbox easily approved his loan. Users who gave Fundbox a negative review said that the customer service end is lacking and that its representatives weren’t very helpful. They added that the company does not allow customers to change the payment terms. One user who gave Fundbox a negative review on TrustPilot said the program defaulted to a 12-week repayment term, and when he requested a change in payment terms, he was told that doing so would prevent him from using the system again. He added that he had only made one payment and that he was not made aware that he would not be able to change the payment terms anymore. Fundbox pricing is based on credit lines of up to $100,000, with fees starting at a flat rate of 4.66% of the draw amount for 12-week repayment terms. Fees are paid in equal installments over 12 or 24 weeks. All remaining fees are waived if the borrowed amount is paid back early. 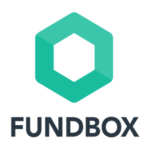 Ready to get started with Fundbox? Visit its website. Fast Business Loans: 6 Best Quick Business Loans 2019: Fast business loans are typically short-term financing options with high-interest rates that make funds available in one to three business days. They are best for businesses that need short-term working capital for payroll, inventory, and expenses. We compared the top providers according to their terms, costs, and qualifications and chose the top six fast business loans. How do I register for a Fundbox account? Registration only takes you less than 30 seconds. 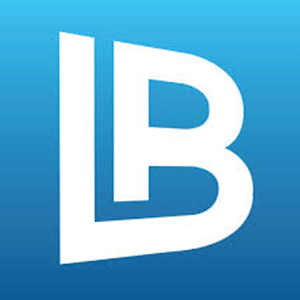 Fundbox connects to your company’s bookkeeping application and pulls in all your outstanding invoices. You can choose one or more of your company’s outstanding invoices to fund. You can then receive the funds instantly into your bank account. How long does it take for the funds to arrive in my bank account? Funds may arrive as soon as the next business day. To ensure this, make sure to draw funds before noon, PST, between Mondays to Thursdays. If you draw after the cutoff, on weekends, or near banking holidays, the transaction will be processed on the next business day, so it could take a few extra days before the funds arrive in your bank account. Have you read these Fundbox reviews and are still not sure if it’s the right fit for you? Read our reviews of all top lenders or check out one of these three Fundbox competitors. Not very much. Did some light research before contacting to inquire more and eventually purchase! Funbox directly hits at one of the biggest pain points for any small company: revenue generation. They provide an exceptional tool that allows for us to move faster as we wait for clients to pay their tabs. It also allows us to be more flexible with clients, which is beautiful when working to close an important deal with a client you hope to build a long-term relationship with. Fundbox is a much smarter alternative to a traditional loan. Until recently, my only hangup was the lack of PayPal integration. So, congrats on fixing that, guys! It made me a FundBox client through-and-through. Keep the integrations coming! Add And.Co and We Pay and I’ll be clearing invoices every day! I did my homework beforehand. It ended up being even better than I had imagined. I didn’t realize that we would be limited in our FundBox credit at first, but this wasn’t a big deal. However, I can see how some users/clients might be disappointed if they think they are about to clear a huge invoice and they can only get an advance of $1k. BUT I actually kind of like this feature as a starting point. For instance, I had a monthly client bail on our contract recently. If I had cashed-in on their invoices in advance, I would be scrambling to cover the loss of that guarantee of their payment. So limiting Fundbox credit is actually a good way for Fundbox to mitigate risk for the user, also! Needed to set up a client with moderate cash flow problems. This is an excellent short term solution. Great bunch of people to work with. They assisted with my setup snags and took their time to walk me through. The whole process took an hour when I thought it would be endless. Special thanks to Basile Senesi for his patience and focus in getting us setup. Hope you guys are around for a long time!